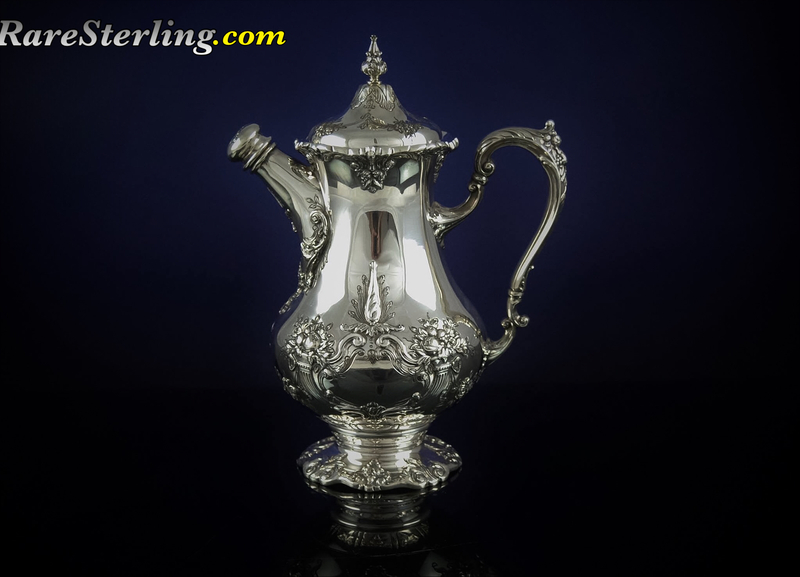 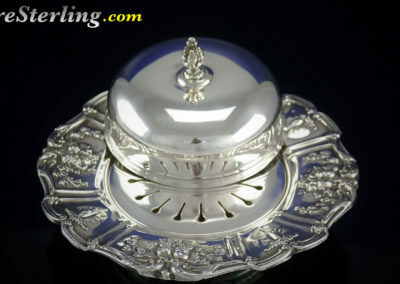 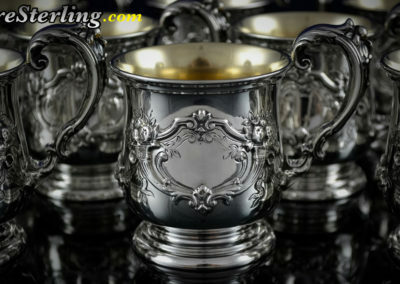 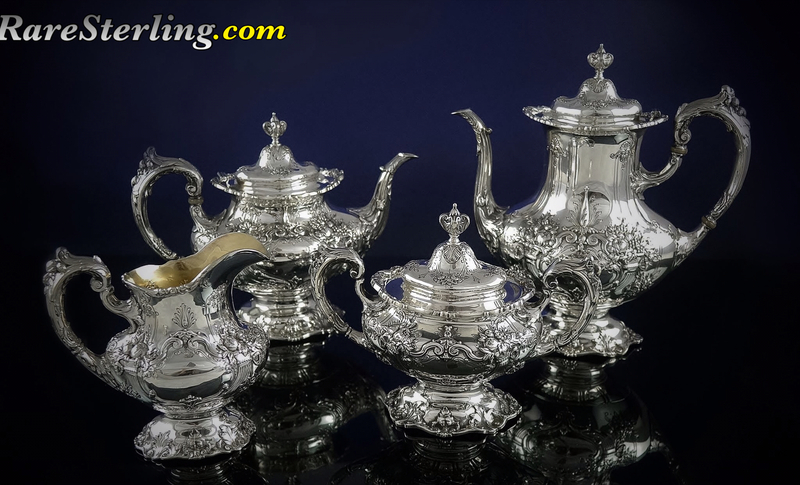 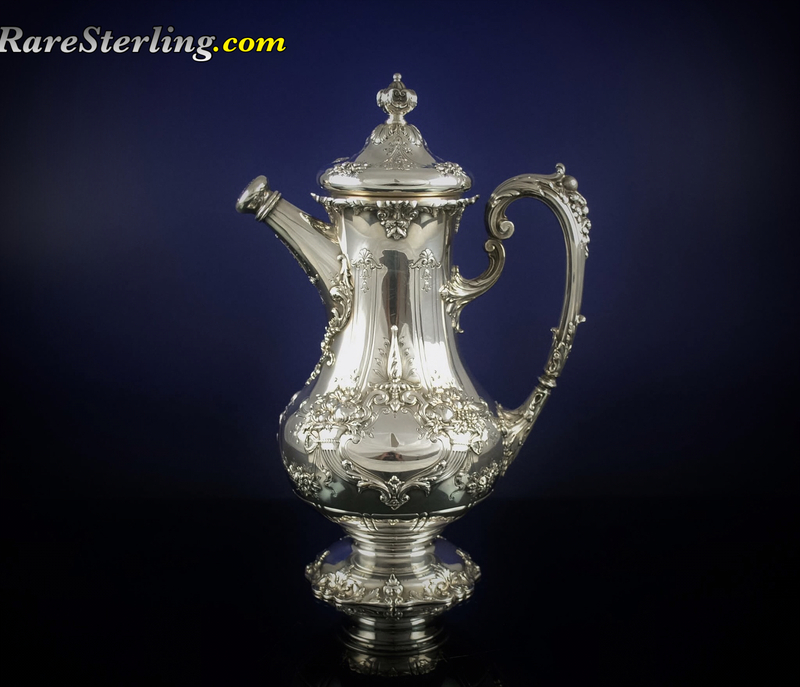 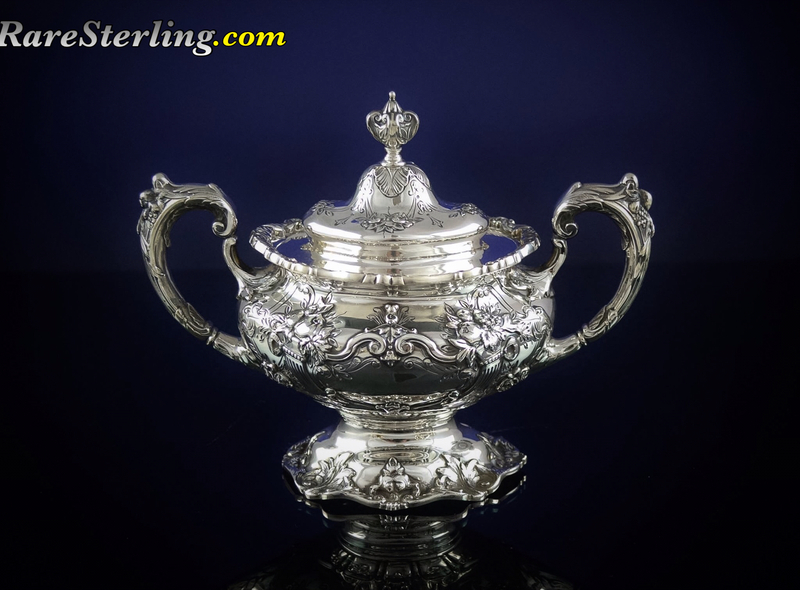 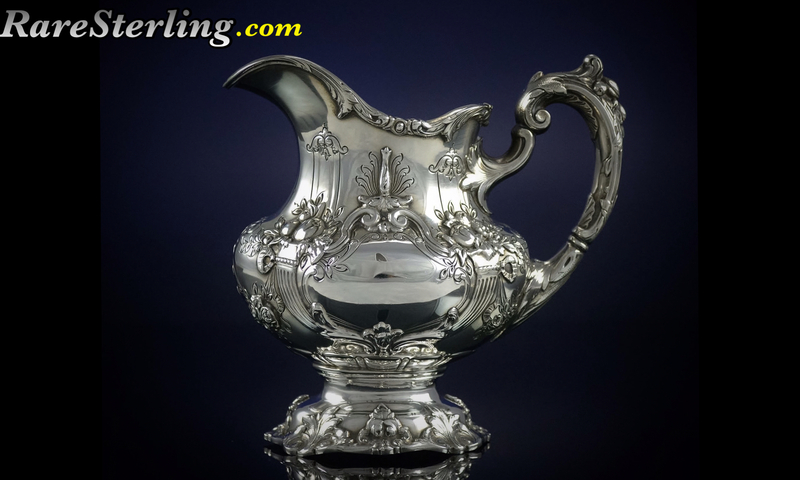 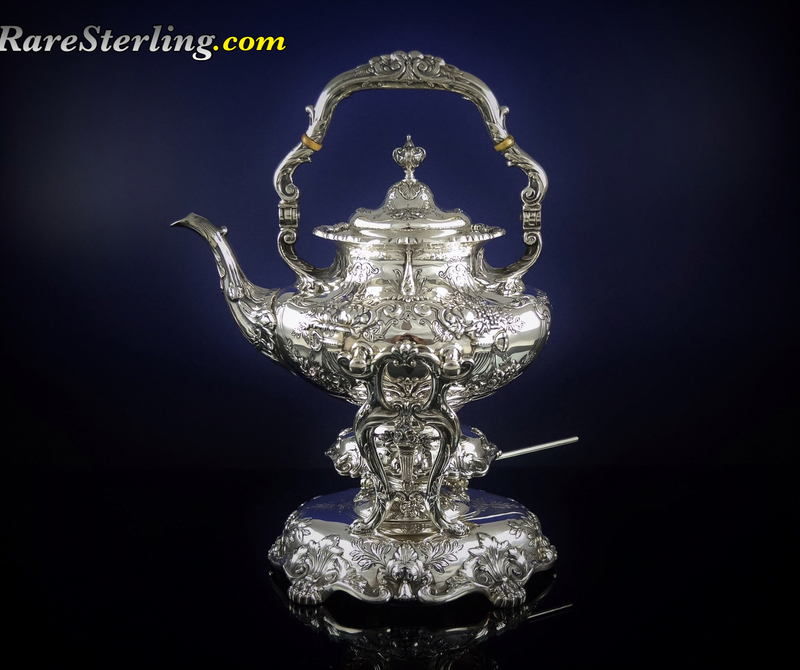 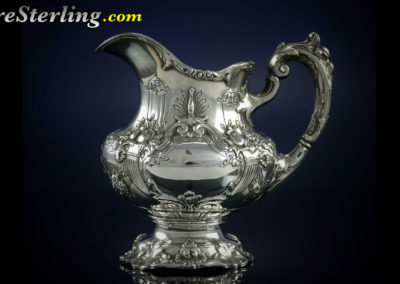 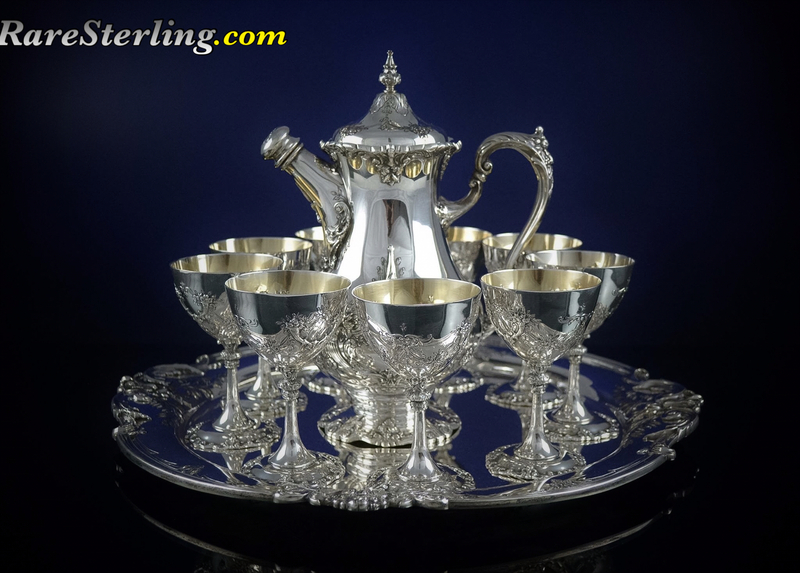 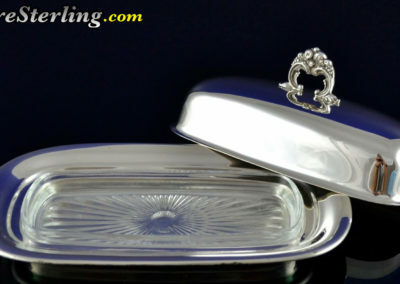 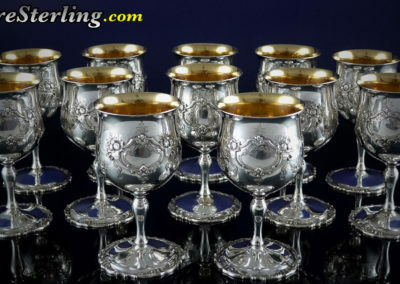 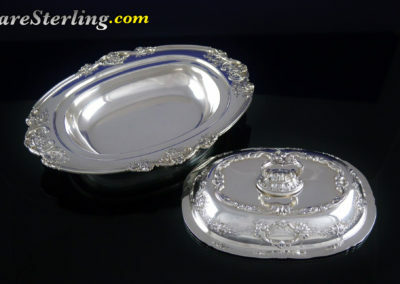 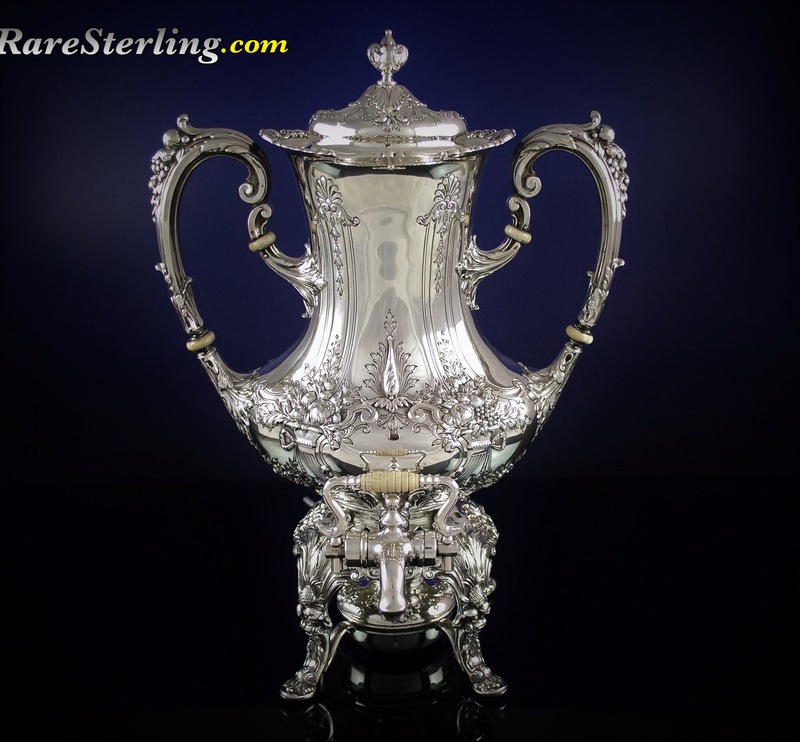 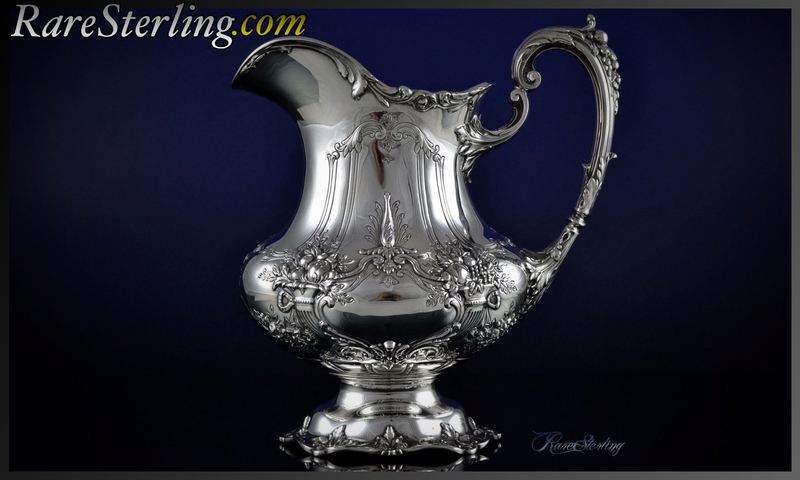 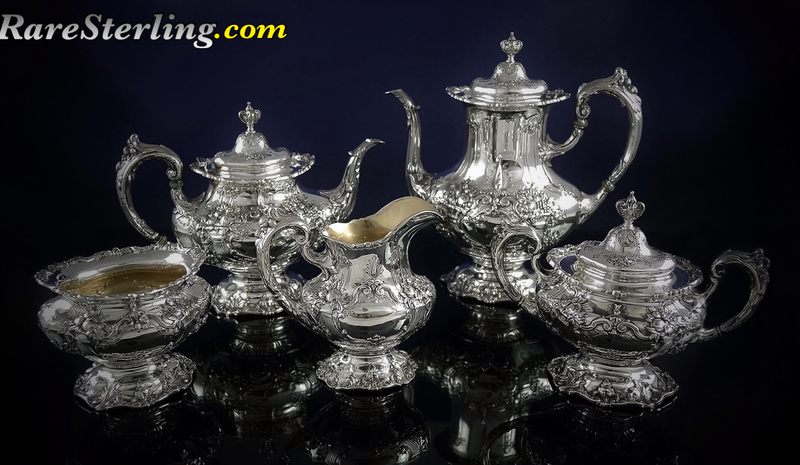 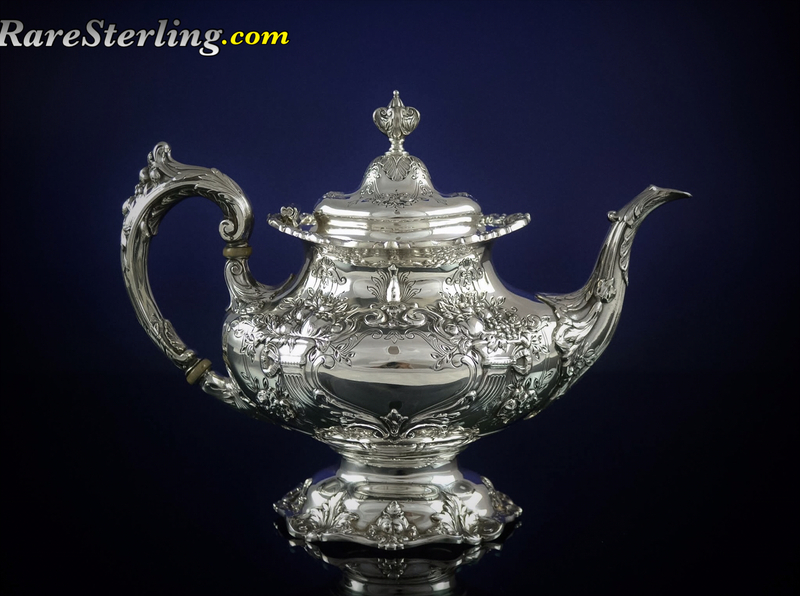 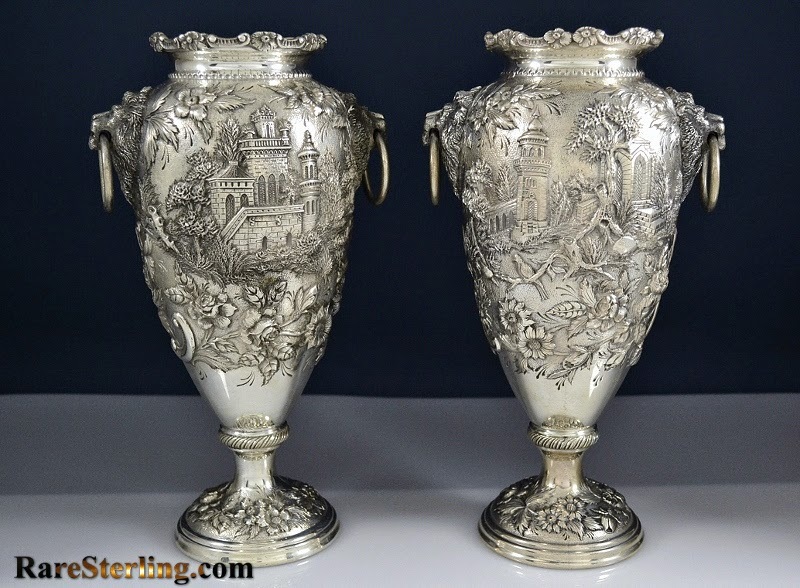 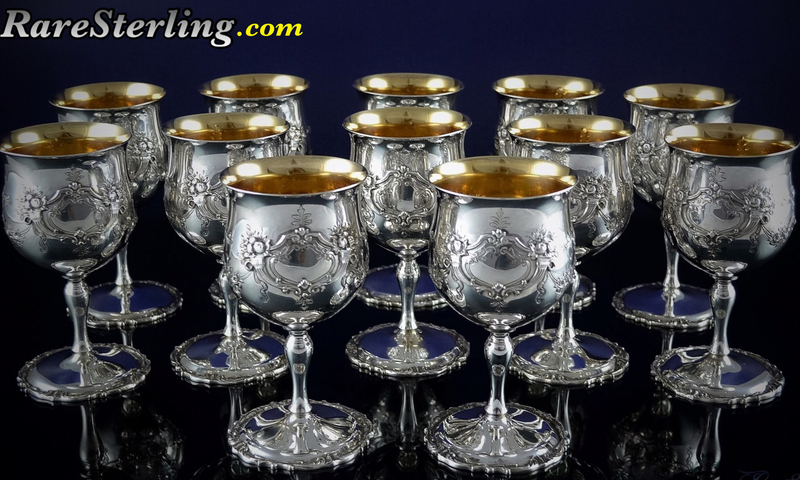 Below is our Reed and Barton Francis 1st Sterling Silver Hollowware Gallery. 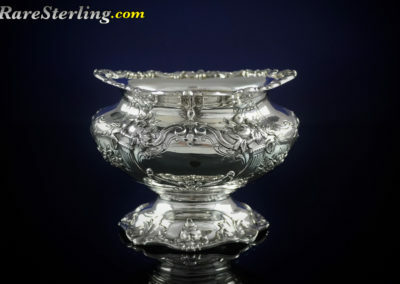 In addition, you will see a brief item description. 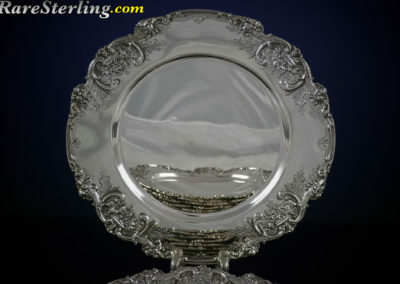 As well, as a zoom feature for each image to take a closer look. 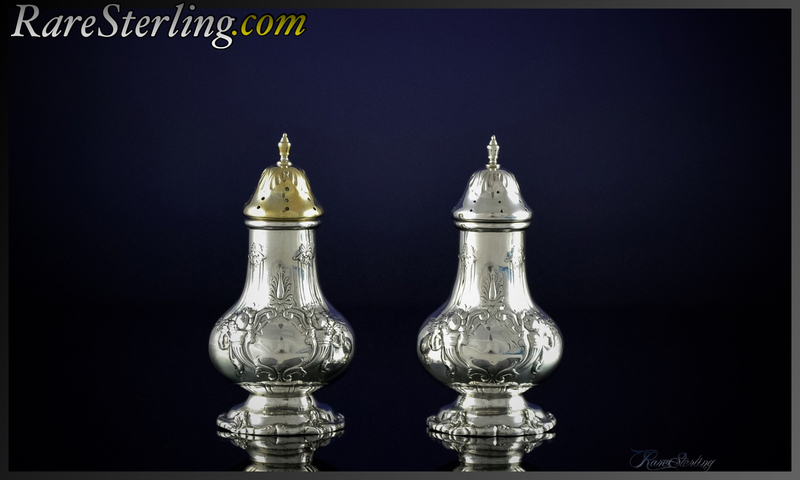 Below the gallery you will find a brief writeup on the History of Reed and Barton. 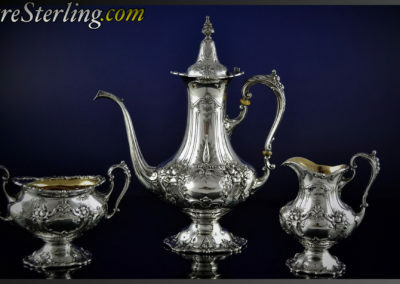 We hope that you enjoy our photos. 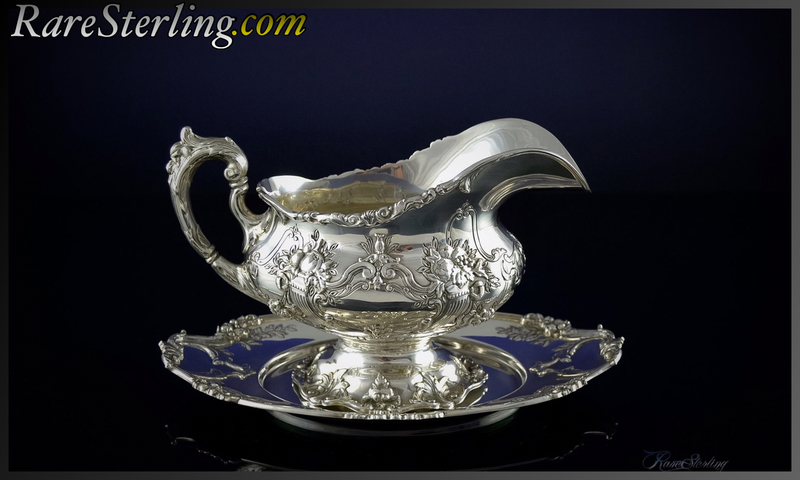 About Reed & Barton Sterling Silver. 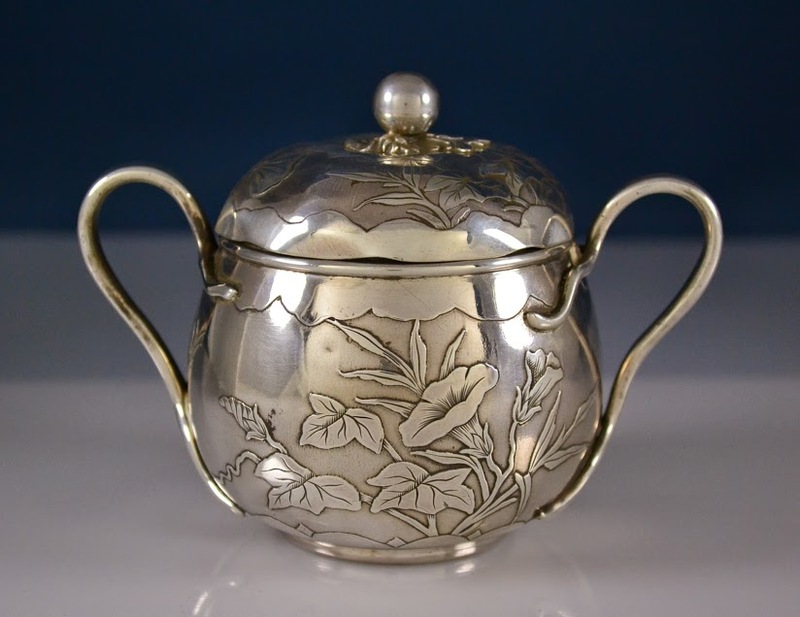 Company History: Family owned, Reed & Barton Corporation is one of the oldest silversmiths in the United States, its roots dating back to 1824. 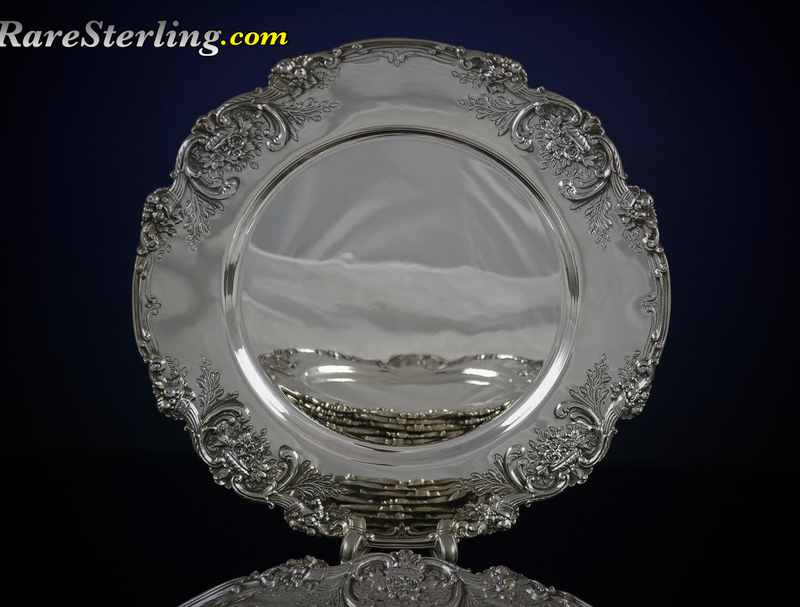 Over the years, Reed & Barton has evolved into a diversified tabletop company composed of several divisions. 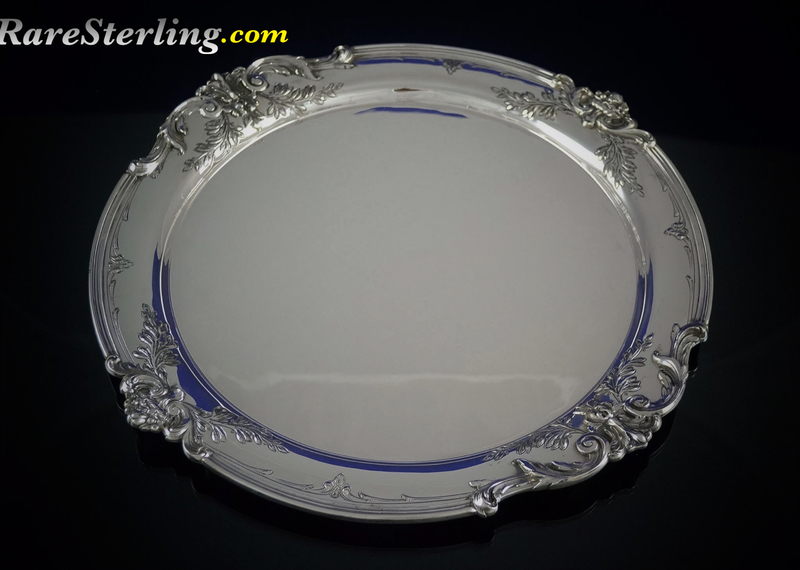 The Reed & Barton Silversmiths division continues to produce a wide range of fine sterling silver, silver plated, and stainless steel tableware and gifts, including flatware, server ware, and hollowware, as well as picture frames, Christmas ornaments, baby gifts, and musicals. 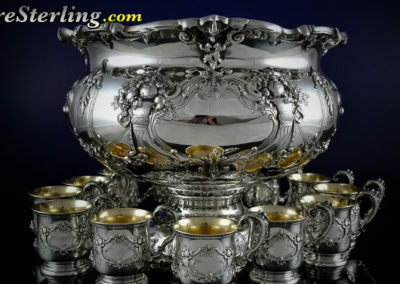 The Reed & Barton Handcrafted Chests division is the world’s largest maker of wooden jewelry boxes and flatware chests. 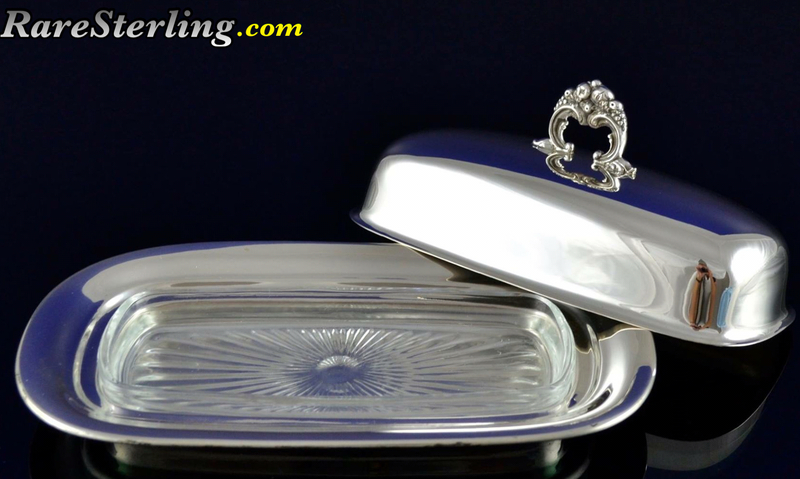 In addition, it offers protective rolls and storage bags for flatware and hollowware, cigar humidors, and pen chests. 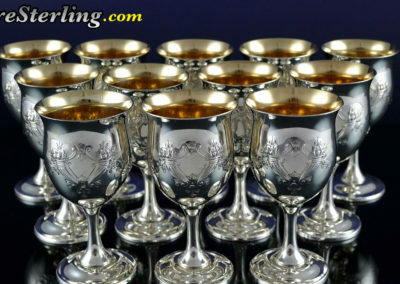 The result of a 1990s acquisition, Miller Rogaska Crystal by Reed & Barton produces handcrafted crystal, including stemware, barware, and giftware. 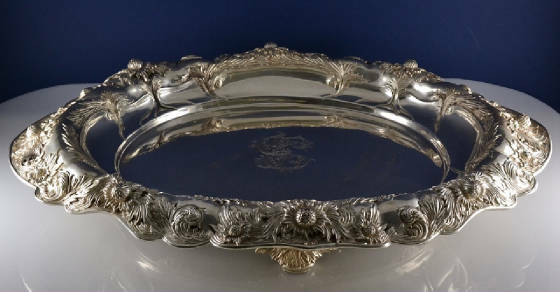 Another acquisition, the Sheffield Silver Company, forms the basis of Reed & Barton: The Sheffield Collection. 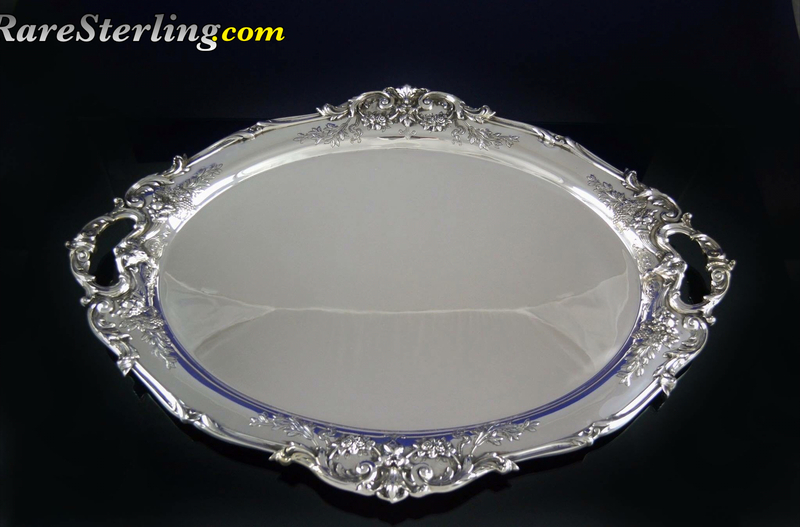 This division concentrates on hollowware and silver plated tableware, offering products such as serving trays, wine coolers, candle ware, and napkin rings. 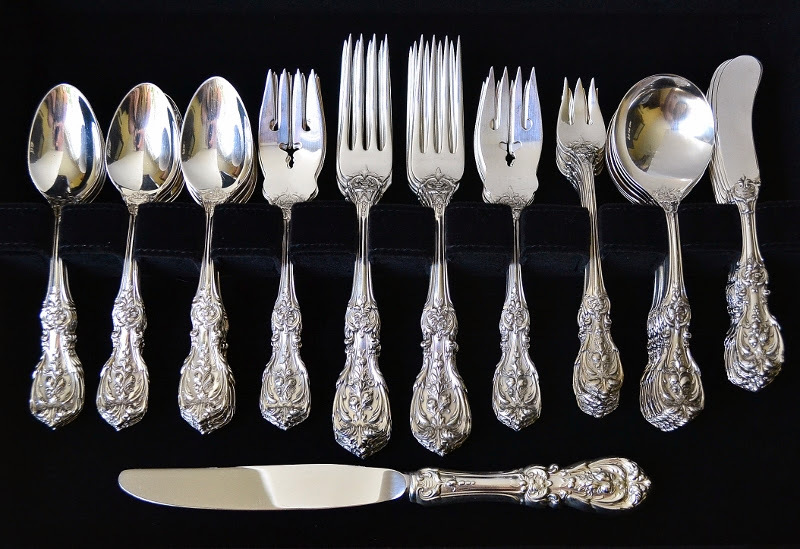 The R&B Every Day division produces high-quality stainless steel flatware intended for everyday use. 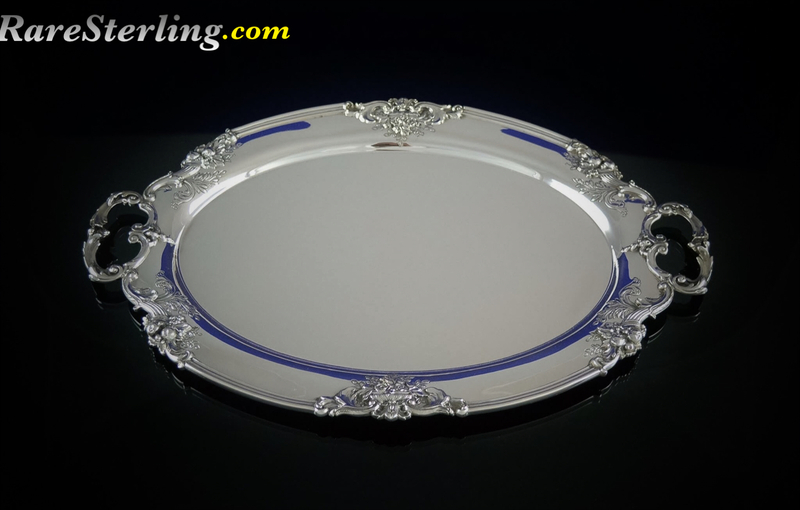 Reed & Barton also acts as the exclusive U.S. distributor for Belleek Fine Parian China, Ireland’s oldest pottery, Fine English Bone China, a renowned, 200-year-old company that has supplied tableware to England’s royalty. 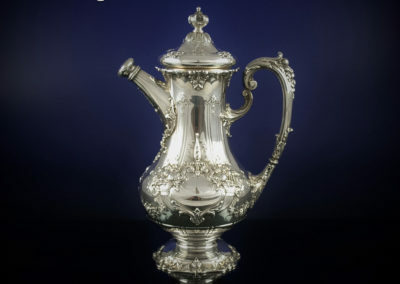 Reed & Barton maintains its headquarters in Taunton, Massachusetts, once known as “Silver City” because of the number of silver companies operating there. 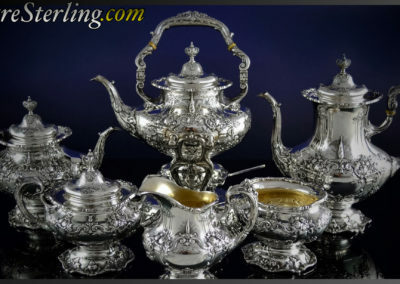 Reed & Barton products are sold in department stores and specialty shops, and the company also operates several retail stores. 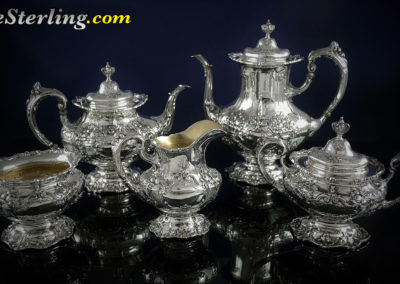 The man responsible for the founding of Reed & Barton, Isaac Babbitt, never worked with silver. 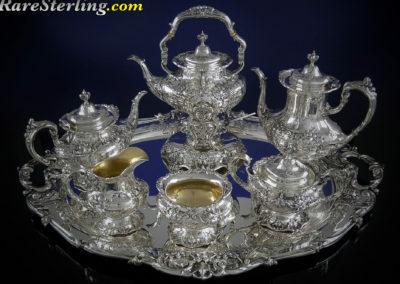 He first employed pewter — an alloy composed of lead and tin and used to make everyday items such as tankards and dishes. 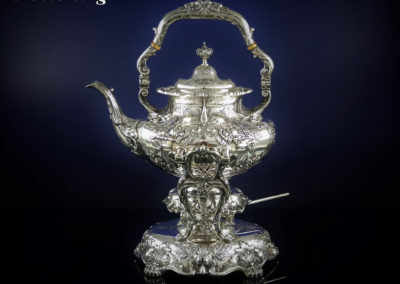 Babbitt, who ran a pewter shop in Taunton, Massachusetts, then found a way to emulate a white metal alloy made from tin, antimony, and copper called Britannia metal, used by the British in the making of flatware and hollowware sold in the United States. 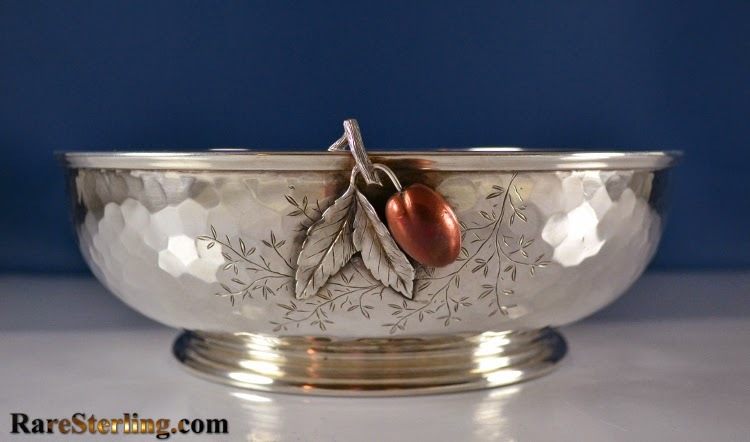 In 1824 he joined forces with Taunton jeweler William Crossman, forming a company named Babbitt & Crossman to produce their own Britannia tableware. 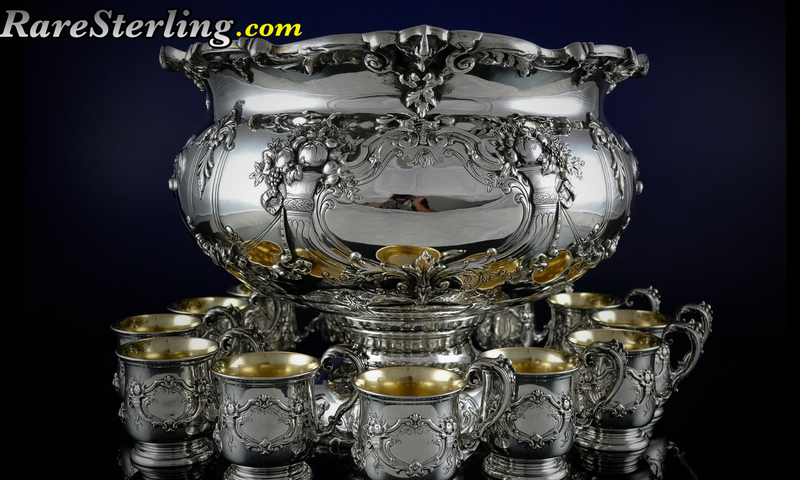 Over the next two decades the company added associates and periodically amended its name, becoming Babbitt, Crossman & Company in 1827, Crossman West & Leonard two years later, and the Taunton Britannia Manufacturing company in 1830. 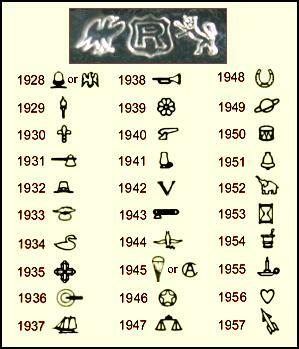 Along the way, Henry G. Reed and Charles E. Barton, friends and fellow craftsmen, came to work at the firm. 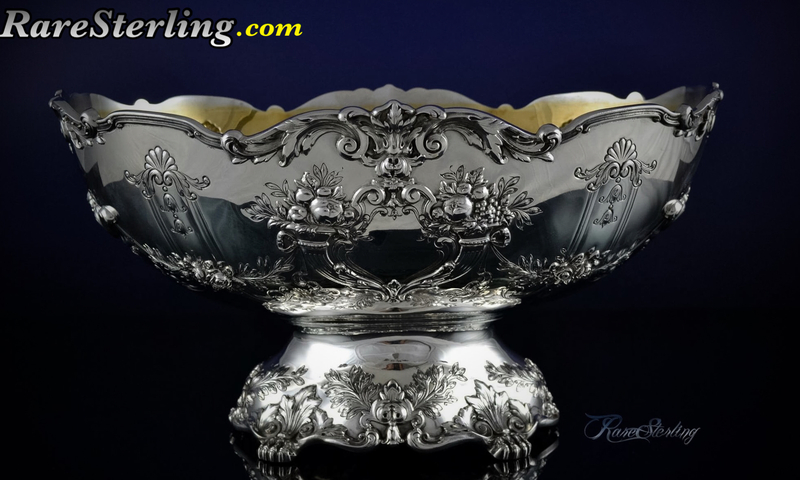 When the business failed in 1834, following years of steady growth, Reed and Barton, just in their 20s, stepped in to buy it. 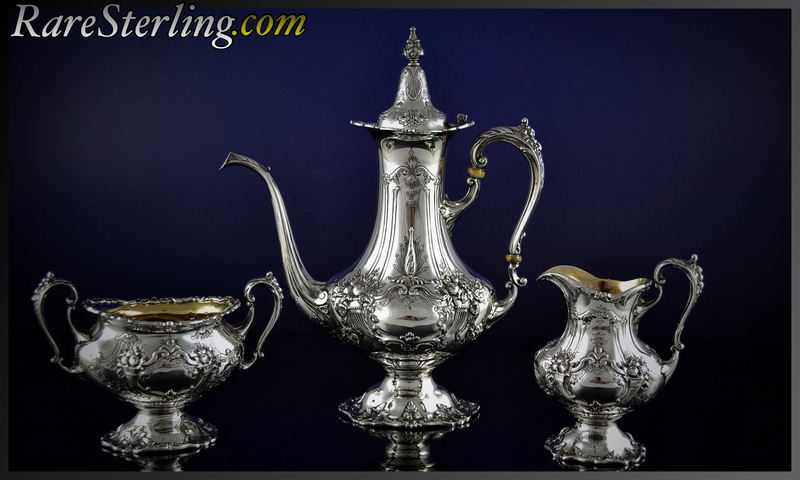 In 1837 the company was renamed Leonard, Reed & Barton, then in 1840 it assumed its modern name, Reed & Barton. 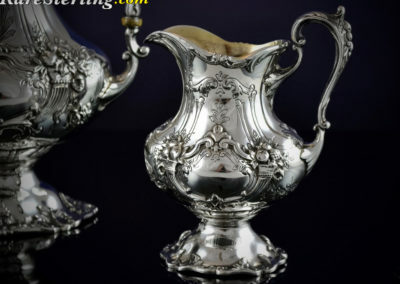 The two men would run the business together for three decades. 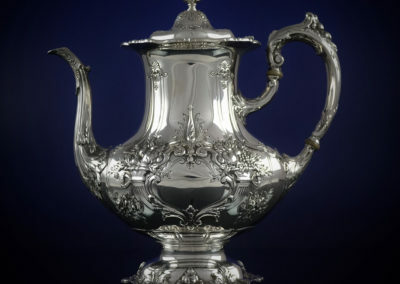 After Barton died of a heart attack in 1867, Reed carried on, but as a tribute to his longtime friend he decided to retain Barton in the company’s name. 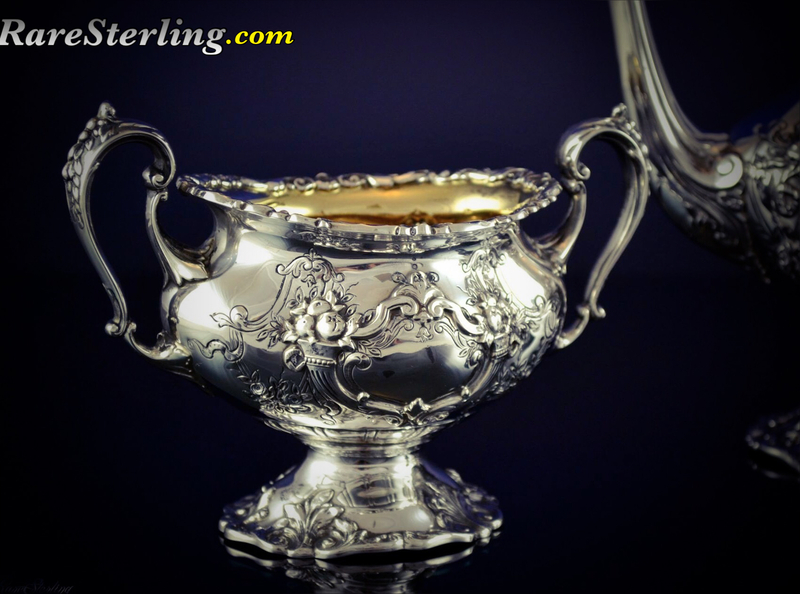 Ownership of the firm would be passed down through the Reed family. By the mid-1800s Britannia fell out of favor as a tableware material, supplanted by a new substitute for the prohibitively expensive silver. Sheffield Plate, developed in the 1740s, fused sterling silver to a plate of copper, but in 1840 this technology was superseded by electroplating, which deposited a thin layer of silver on a base metal, copper and later nickel, to produce items with a pure silver appearance. 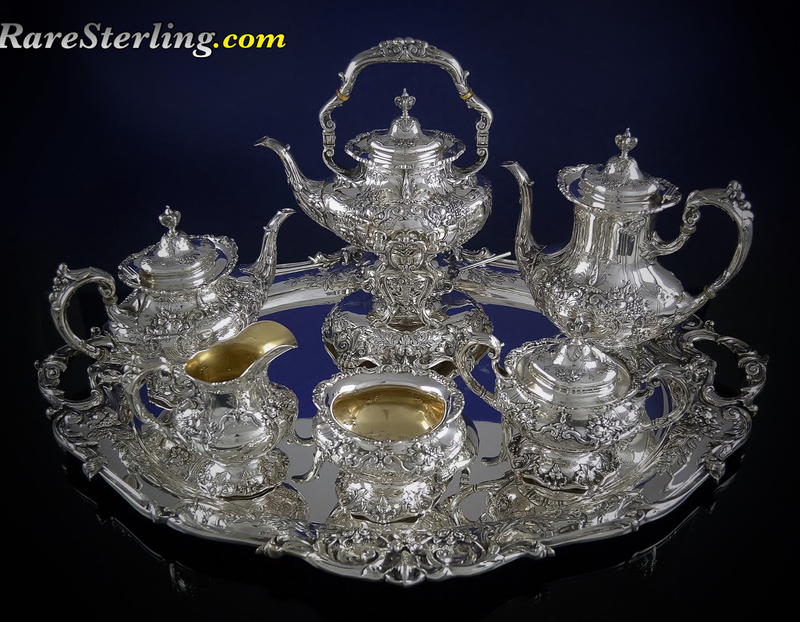 Electroplated silver gave consumers the look they wanted at a reasonable price, and as a result, by the early 1850s the new metal replaced both Sheffield Plate and Britannia metal as the flatware material of choice. 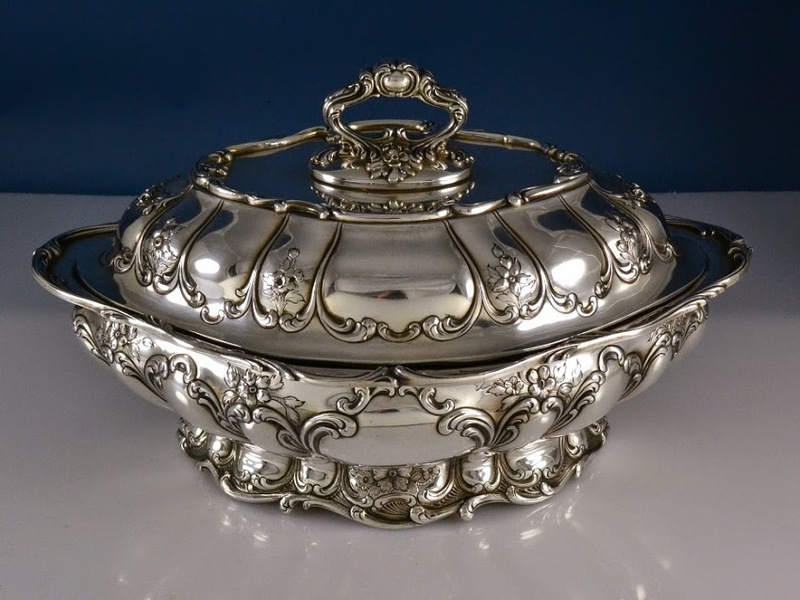 Reed & Barton followed the market, and thus became involved in silver for the first time and a pioneer in the practice of silver plating. 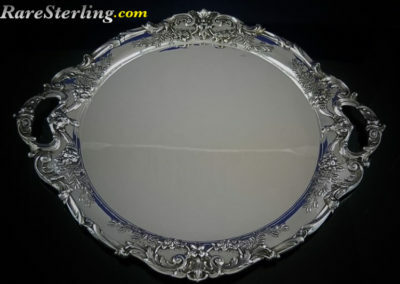 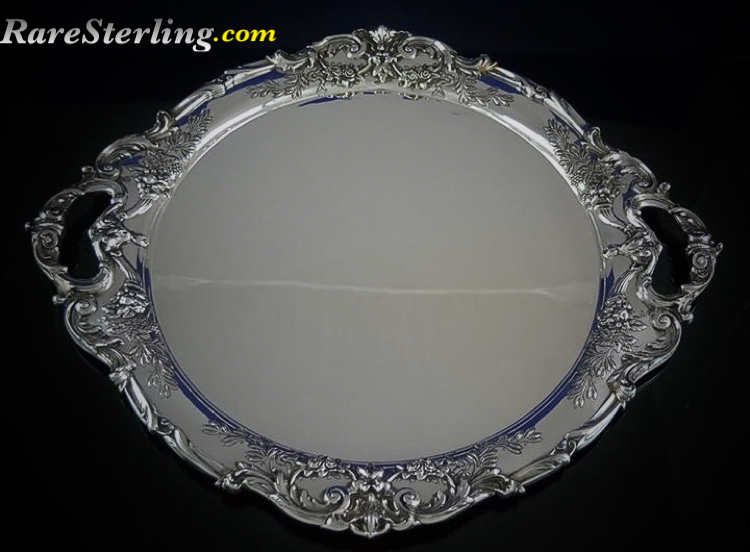 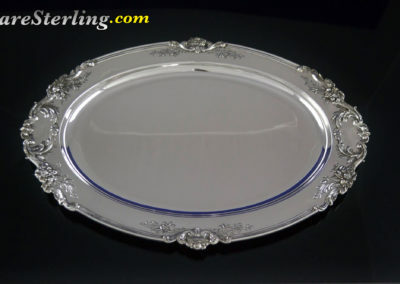 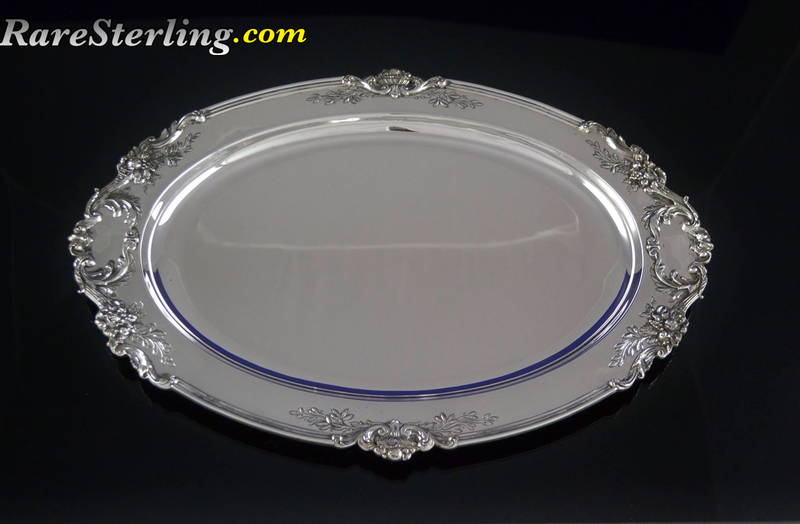 But silver plate would soon find competition from an unsuspected corner: sterling silver itself. 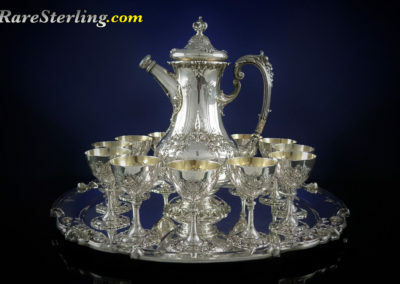 In 1859 the legendary Comstock Lode of silver was discovered and once mining operations in the area were up to speed, silver flooded the market, bringing down prices to the point at which there was little difference between the price of items made from silver plate and actual sterling, which now became the material preferred in wedding gifts. 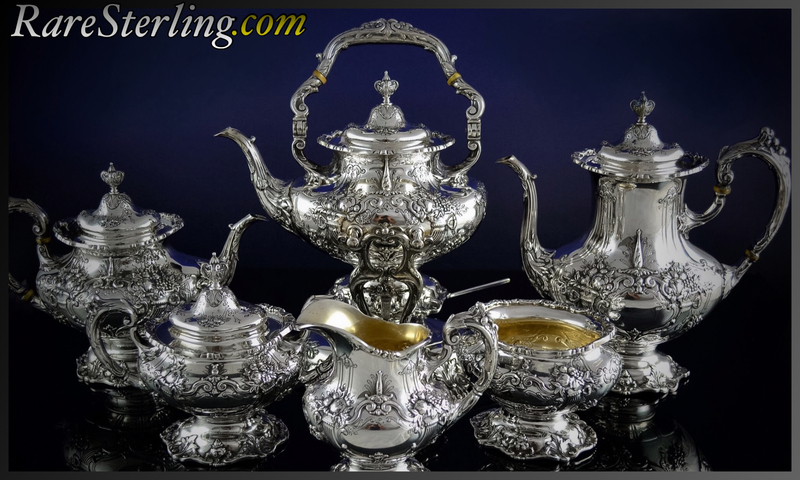 Reed & Barton turned to sterling manufacturing in 1889 and by the end of the century committed an entire factory building to its production. 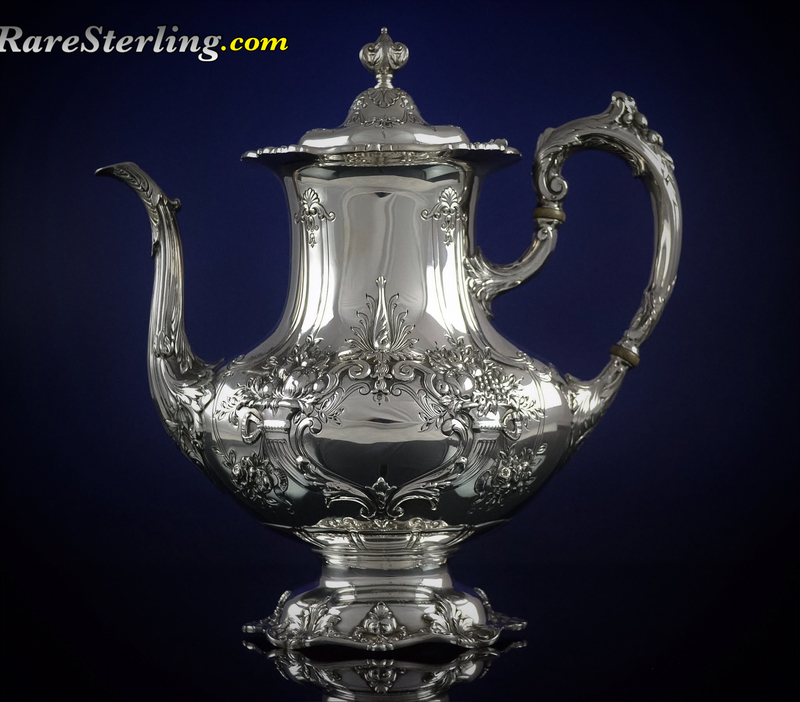 Under Krebel, Reed & Barton continued its efforts at diversification in the 1990s. 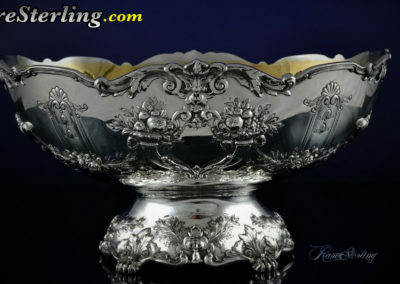 Early in the decade, the company entered into a new product development joint venture with Swid Powell, a tabletop specialist. 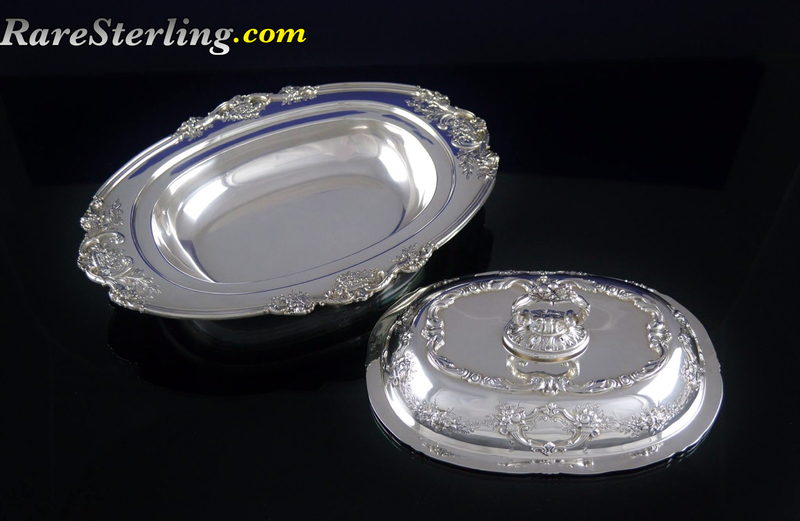 As a result of the collaboration, Reed & Barton began manufacturing and distributing architecturally designed sever ware products. 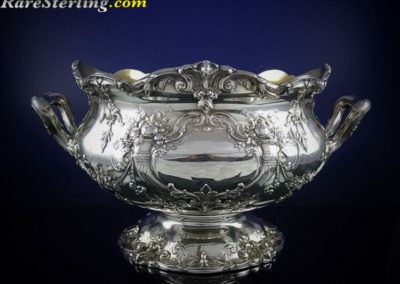 Next, Reed & Barton came to an agreement with the Ralph Lauren Home Collections to act as a licensee to produce sterling silver, silver plate, and stainless steel flatware, which would be sold in the same retail outlets as Ralph Lauren’s china and crystal tabletop products. 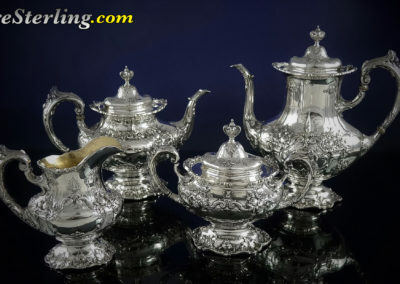 In the 1990s other licensing deals would follow, including agreements with Waterford and Royal Doulton. 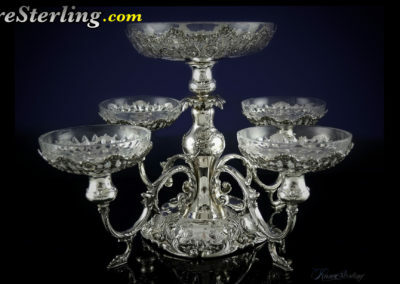 The company also became involved in crystal. 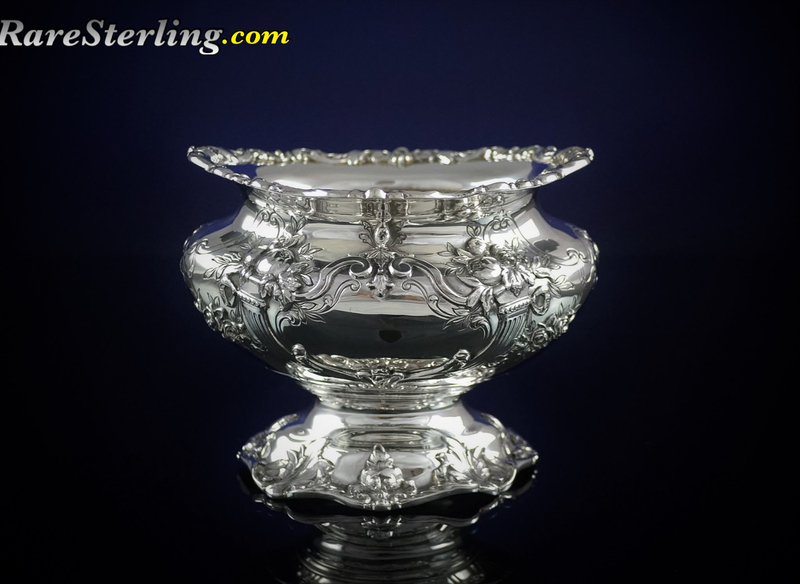 In 1993 it became the exclusive distributor of Val Saint Lambert Crystal’s high-end tabletop lines in the United States, Canada, and Mexico. 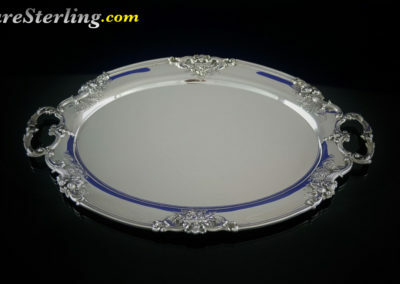 Reed & Barton also added the North American distribution rights for Aynsley china, Belleek china, and Galway crystal. 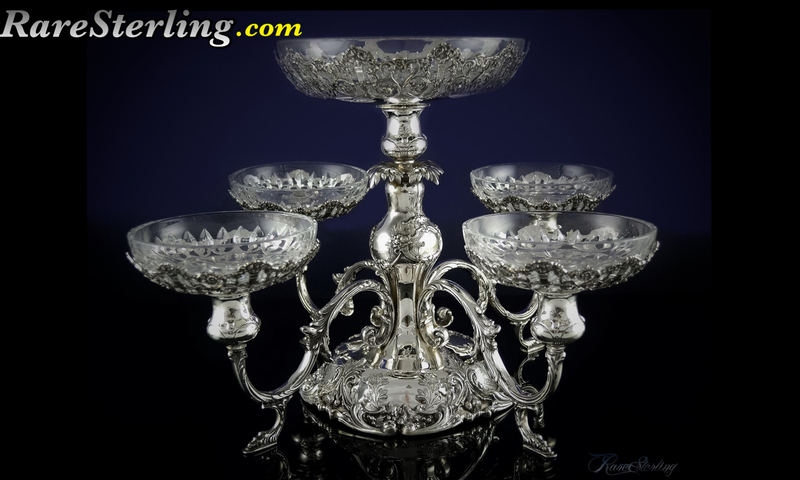 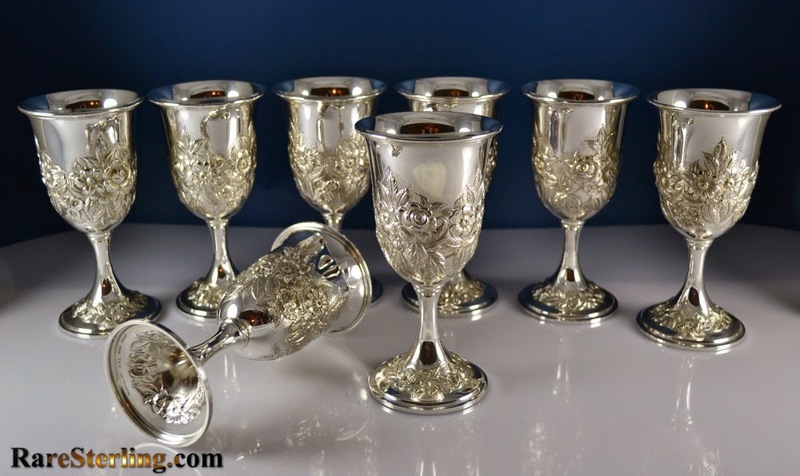 Moreover, the company became involved in crystal manufacturing with the 1996 purchase of Miller Rogaska Crystal Co., maker of mid-range to upper-priced crystal stemware, barware, and giftware. 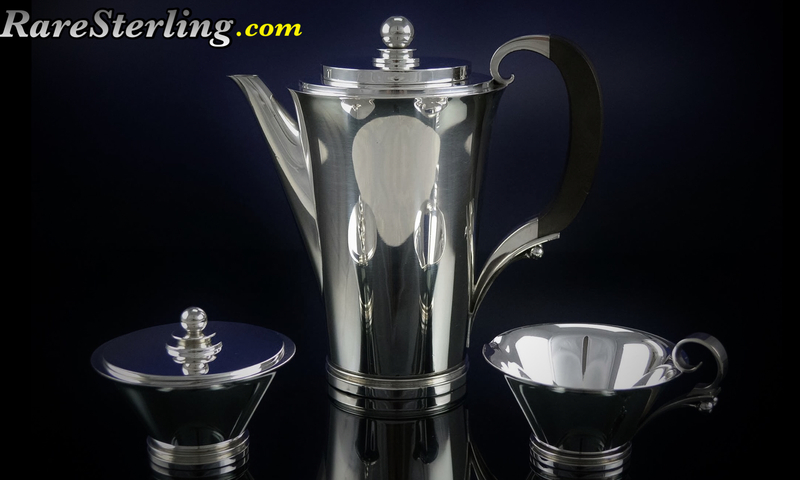 Reed & Barton reached a watershed moment in 1996 when sales of its stainless steel flatware outpaced sterling silver flatware for the first time. 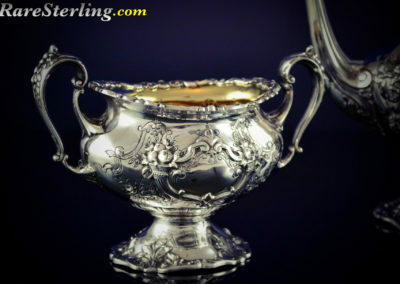 Nevertheless, the company continued to offer its time-tested sterling silver designs and continued to maintain a reputation for contemporary craftsmanship. 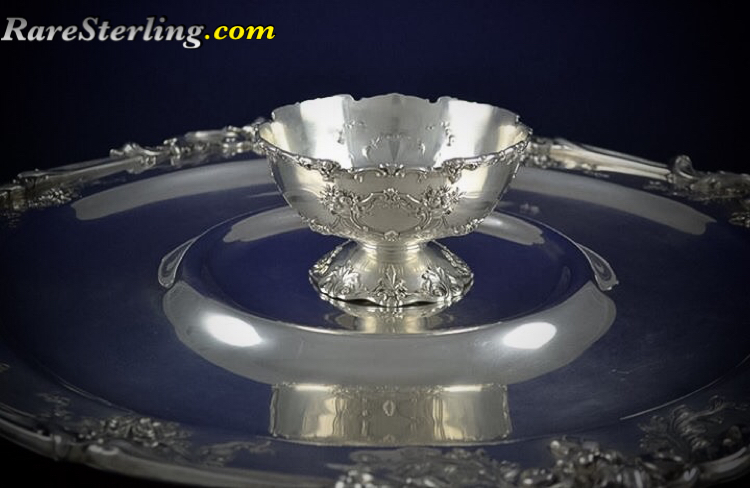 Reed & Barton was selected by The Atlanta Committee for the Olympic Games to manufacture the gold, silver, and bronze medals for the 1996 Olympic Games. 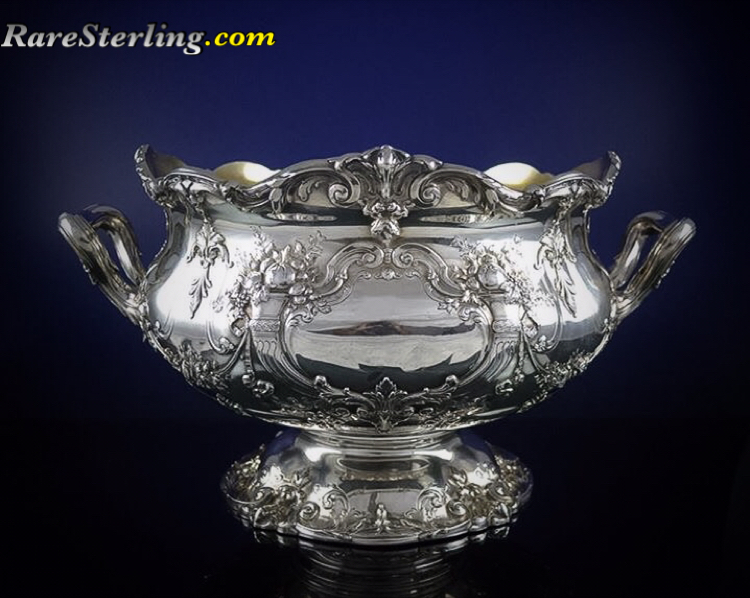 This contract was prestigious and highly coveted, and was the culmination of an established relationship between Reed & Barton and the committee. 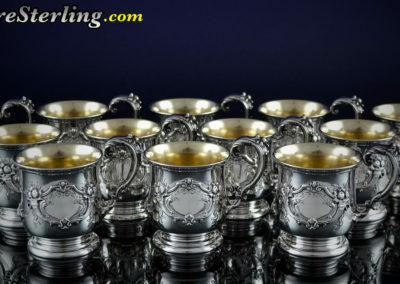 Already the company had been named a licensee of Olympic Games merchandise, granted the exclusive rights to market sterling silver, silver plate, gold plate, and wood giftware. 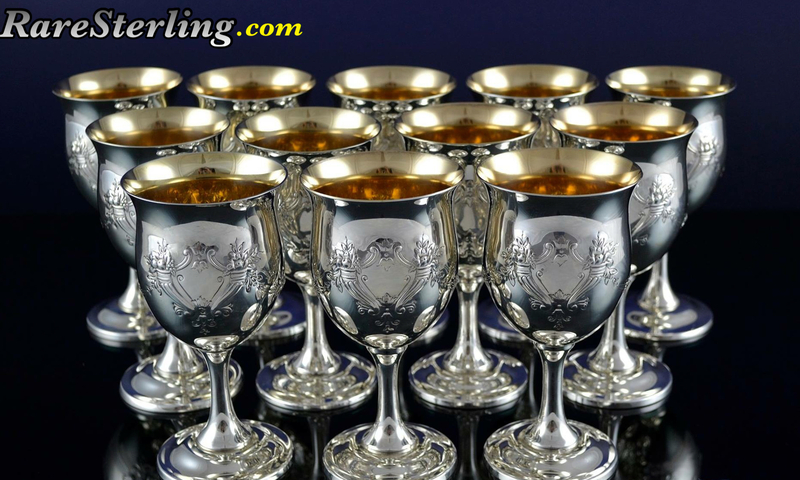 In addition to producing 2,600 competition medals, Reed & Barton would make the wooden cases for them and also produce 30,000 commemorative medals to be given to dignitaries and others associated with the games. 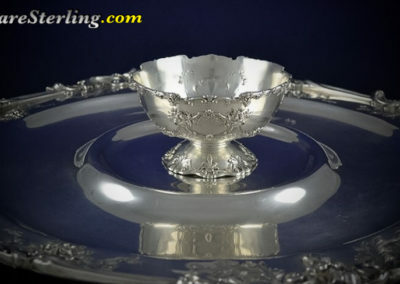 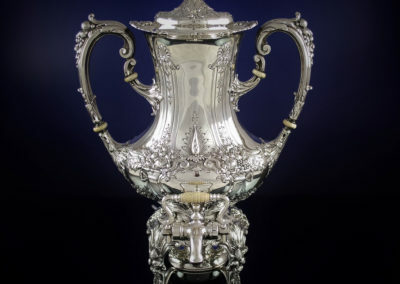 Reed & Barton’s reputation also would be recognized, and enhanced, in 1998 when the company was chosen to redesign the Davis Cup, awarded annually in an international team tennis tournament. 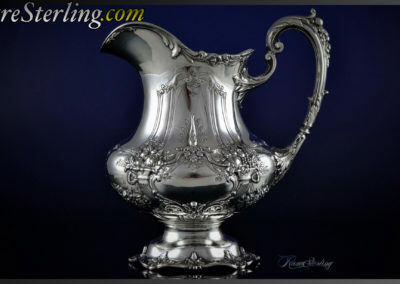 Reed & Barton marked its 175th anniversary in 1999 by launching its first web site, but the company entered the new century committed to maintaining its tradition and the value of its brand by not venturing too far afield from the position in the high end of the market it had carved out over the years. 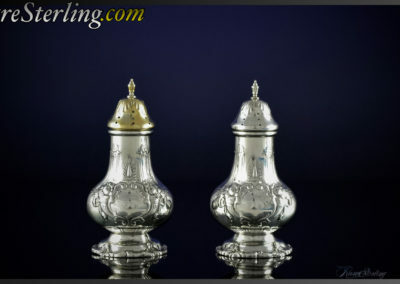 We Pay More! 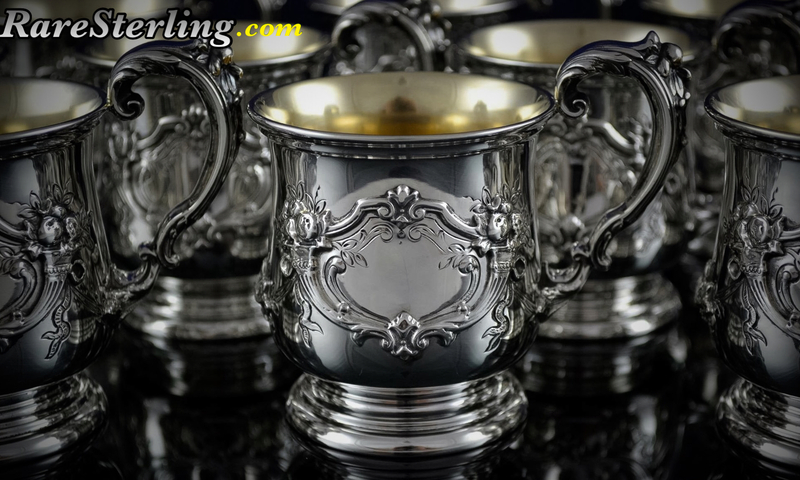 – Call Today! 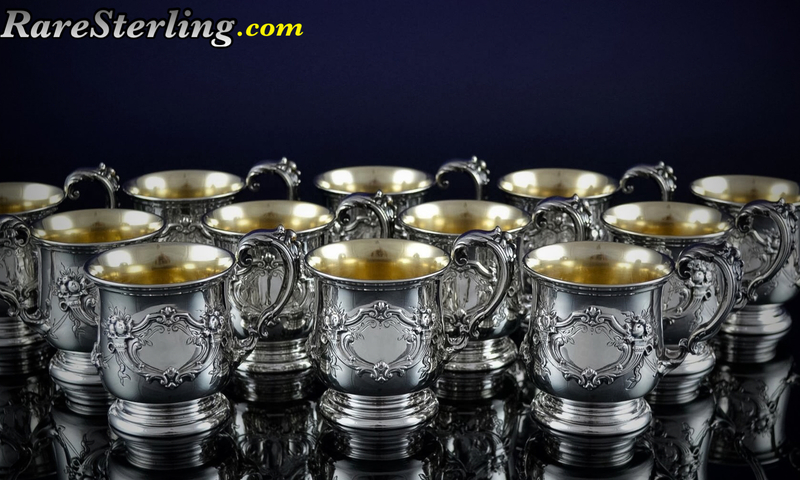 All Patterns – Any Condition! 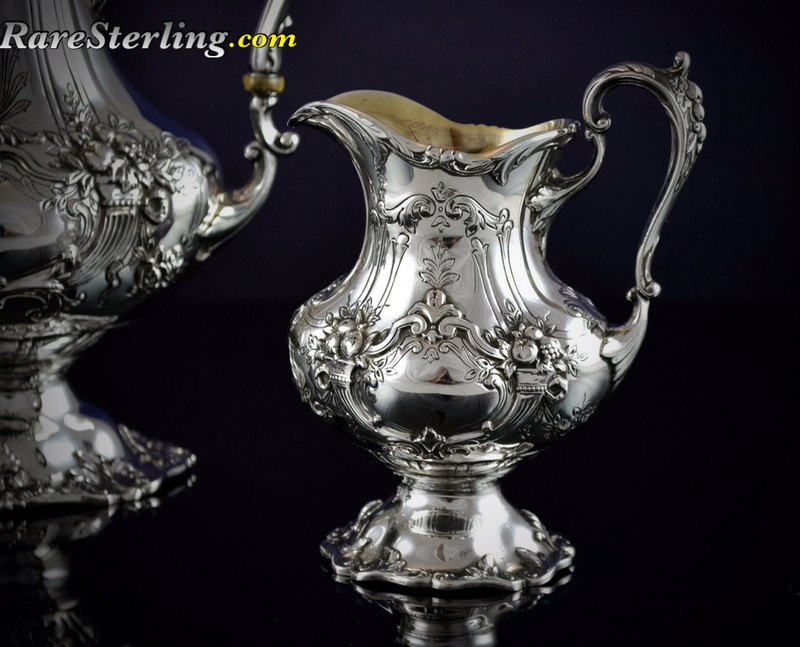 Want to Sell Your Sterling Silver? 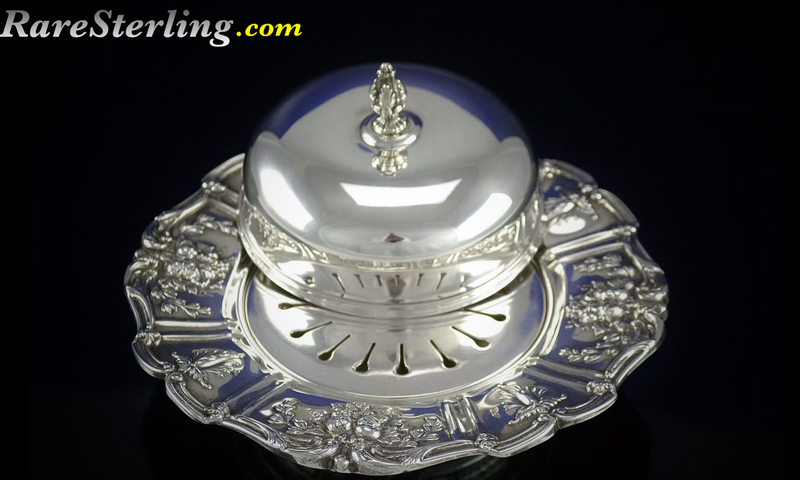 Contact Us – We Buy – Call Today!